"Andrea Wulf's lecture at Yale University on The Invention of Nature was engaging, funny, and intellectually exhilarating. She explored the richness of Humboldt's personality and many adventures with scholarly insight and entertaining ease. " Richard O. Prum, William Robertson Coe Professor of Ornithology, Yale University; and Director of the Franke Program in Science and the Humanities." “An Outstanding Speaker. The Garden Club of Georgia was delighted to have Andrea Wulf return as our guest speaker for our annual Historic Preservation fundraising lecture. Andrea is an engaging orator with a breadth of knowledge and a sense of humor that captures the audience from her first words. Her command of the facts and presentation style make her an outstanding speaker for any group. Working with her is a delight. Lee Dunn, Historic Preservation Fundraising Chairman, The Garden Club of Georgia, Inc.
“For the second time in two years, Andrea Wulf has charmed the city of Wilmington, NC with her detailed history of life in Colonial America. Andrea opens the door to our past and invites us in to a world that has only been previously viewed in textbooks and in historic places. Her information is so fresh, so interesting, so well-documented that we see the past clearly as we have never seen it before. Both of her trips have been successful, not only because of her riveting talks, but also because of her warm and friendly personality and boundless energy. Can't wait to have her back!, Mary Eggleston, President, Colonial Dames of North Carolina. “Exceptional speaker. Ms Wulf recently was invited to speak in Charlottesville by The Piedmont Master Gardeners. Atendees came from all over the state of Virginia to hear her program on her book, "Founding Gardeners." 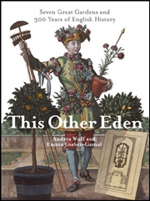 “Andrea Wulf's ‘Founding Gardeners’ lecture was an historical and horticultural treat for our Seattle audience. Ms Wulf presented a unique perspective of our founding fathers as farmers and plantsmen. She provided an engaging, educational evening - extremely entertaining - for all.” Laurie Riley, President, The Seattle Garden Club. 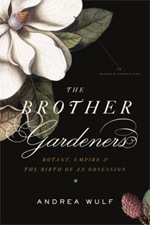 "Andrea gave a compelling and wonderful profile of the founders gardeners. Andrea perfectly matched our 'Celebrity Lecture Series' and drew crowds that matched her own celebrity as an important author of history. We are very grateful for her appearance. I do hope others see the value of her scholarship and wonderful speaking style to engage her in their institutions," Van A. Romans, President, Fort Worth Museum of Science and History. "Andrea Wulf provided the perfect keynote lecture for the 2011 Conference on Restoring Southern Gardens and Landscapes: 'A New World: Artists and Naturalists in the American South.' Andrea's energetic and personable introduction to the brother gardeners and the founding gardeners skillfully guided us into that 'new world' and set the standard for the following two days of cutting-edge scholarship and colorful exploration." Sally Gant, Director of Education, The Museum of Early Southern Decorative Arts, Old Salem Museums & Gardens, Winston-Salem, NC.